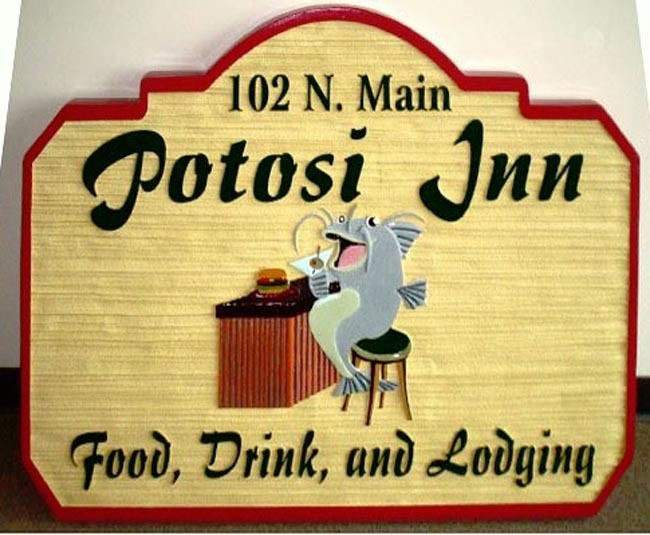 This carved 2.5-D and sandblasted wood grain HDU wall sign has raised art and text. The catfish is obviously in a good mood. After artist painting, the sign is clear-coated twice for additional weather and UV protection.